Without question, there will be tremendous discussion about the medical evaluation of former University of South Carolina running back Marcus Lattimore this week at the NFL Combine. Is his knee stable? Can he perform at an elite level after a multi-ligament knee injury? Opinions of NFL team doctors on those questions are likely to differ. But Walter Stewart’s medical evaluation might stir even more debate than Lattimore’s. As a senior, Stewart was the captain of the University of Cincinnati Bearcats. Coaches described him as a defensive star on the field and a leader off of it. But an injury on the fourth play of a game against Fordham changed his career, even though he played the rest of the game. X-rays taken later revealed an abnormality in one level of the cervical spine in his neck. Stewart had been born without part of the C1 vertebra. The University of Cincinnati team doctor gave Stewart the devastating news. He would never play football again. Until that fateful meeting with his college team doctor, scouts felt that Stewart was almost certain to be selected in the NFL draft. Now a condition he never knew he had threatened to keep him from ever playing football again. Dr. John Glaser, an orthopaedic spine surgeon at the Medical University of South Carolina, thinks that defects of the spine aren’t that uncommon. While a bony deficiency at C1 might be very rare, there likely are players in the NFL with congenital spine abnormalities who have no symptoms from them. Dr. Glaser says that Stewart’s risk of suffering a spinal cord injury is low. Most of the stability of the upper levels of the cervical spine comes from the ligaments in the front of the vertebrae. Stewart was born without the posterior arch on the back of the C1 vertebra. 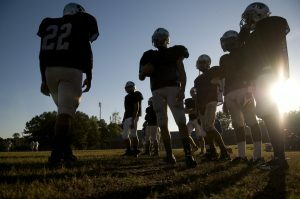 Orthopaedic surgeons and neurosurgeons seem to disagree, however, on the risk he would be taking on the football field. Stewart sought the opinions of seven other doctors. According to Jeff Darlington of NFL.com, the opinions of those doctors differed greatly. One of the NFL team doctors he visited reportedly told him that he would tell his team not to draft Stewart. Another NFL doctor told him that he would have no concerns if his team did select Stewart. The medical evaluation process at the NFL Combine is an extremely complex one. Team doctors thoroughly review operative reports, x-rays, and MRIs. They perform a comprehensive history and physical exam. They make every effort to determine if a player’s prior injuries will impair his performance in the future. In Stewart’s case, it is a condition he has had since birth, not an injury he suffered, that will have some of these doctors worried. No doubt many of them will advise their teams’ coaches and management not to select him. Much is at stake with every pick an NFL team makes. 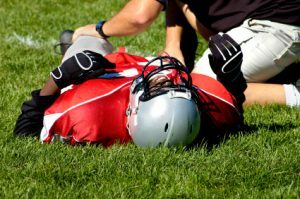 If a team’s doctors say a player is low risk and then that player struggles with injuries, the team might spend millions on a player sitting on the sidelines. Plus missing out on another player who could be contributing instead might cost the team wins, or even championships. The risk for NFL teams in drafting Stewart might be greater than money or wins. A blow to his helmet or upper body could potentially cause a catastrophic spinal cord injury. Just how likely that injury is seems to be the essential question. Ultimately Stewart won’t need to convince every NFL team doctor that he is safe to play. Only one team must believe that there is little risk of catastrophic injury. Note: A modified version of this post appears as my sports medicine column in the February 22, 2013 issue of The Post and Courier. Are soccer headers equal to punches to the head?